Looks promising and that devil looks spiffy even while being attacked. Flynn's work in the Sonic comic is wonderful, and it really sounds like he cares about doing Mega Man right. He's in good hands -- I have faith. The first issue is going to be an origin story? Unheard of! May 4th, huh? I'm definitely looking forward to that day. I'm expecting great things from this comic series. Here's hoping they won't disappoint. The art style looks gorgeous, I am dying to get my hands on the first issue but subscriptions are only available in canada and north america. That picture right there is actually pretty damn good compared to one of the cover art featured here. I will now be part of the group looking forward to this. 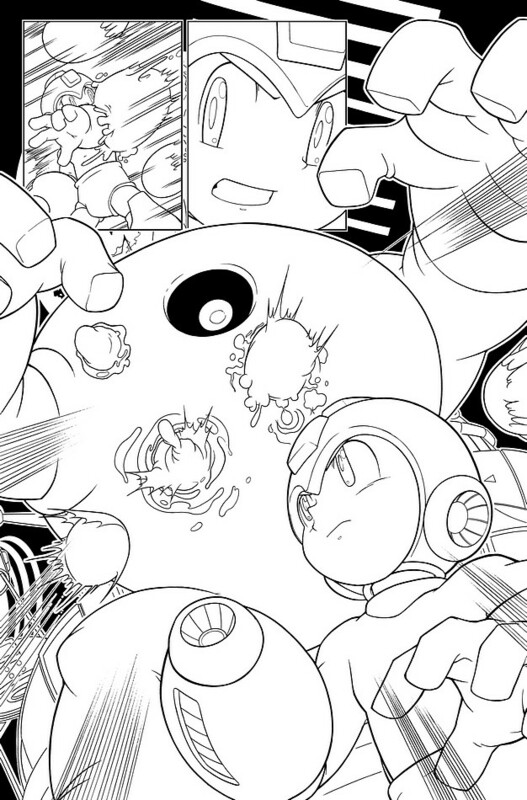 At least there's still SOME good news that pertains to the real MegaMan these days. On the plus side, with MegaMan X already in existence, there's no way they can pull that "25 years later" crap on this franchise. As lovely as this seems, I'd like to get my bit of fan-whine in: Where my X era comics at?! Right now all we have is Iwamoto, (which, admittedly, is a lot, but at present unavailable to English speakers), and an awesome chapter by Ariga. I wish he'd do more! Why do we need to see the events of the games, nearly exactly as they take place? I mean, can't we see more of the personal stuff? I mean, if there -are- personal aspects, I'll be pleased. Can anyone detail me on that? Ian's said on his board that if the Classic series comic does well the possibilities are endless.